Thanksgiving is here, and it's time to gather 'round the dinner table for a turkey feast! 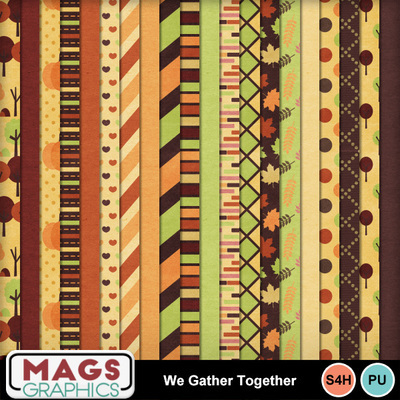 This WE GATHER TOGETHER Collection is full of rich colors and traditional Thanksgiving-themed elements and papers to scrap your family memories. This is the MAIN KIT. It contains 20 Papers & 45 Elements.